Comfort Food. A hot bowl of noodles on a cold day is a great way to enjoy these bowls. 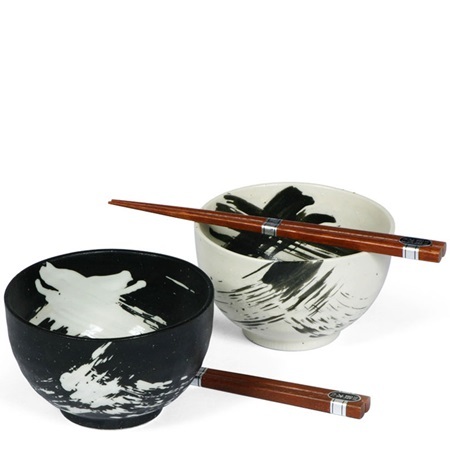 This set includes 2 bowls and 2 pairs of chopsticks to share comfort and warmth with a good friend.